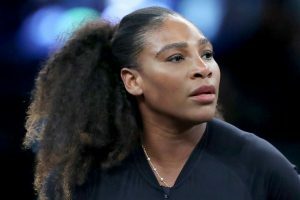 During the final against Osaka, Williams got a warning from the chair umpire for violating a rarely enforced rule against receiving coaching from the sidelines. 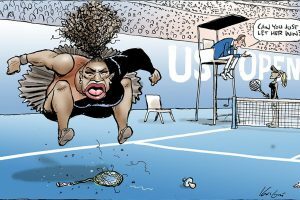 In the cartoon the umpire is seen saying to Osaka "can't you just let her win?". 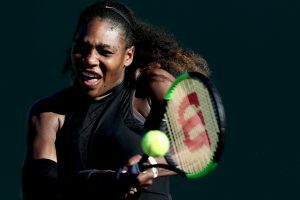 The 23-time Grand Slam champion was stunned 6-1, 6-0 by Britain's Johanna Konta on July 31 in San Jose, California. 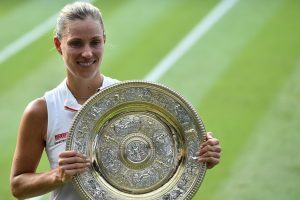 It is the 30-year-old Kerber's third Grand Slam title. Taking on Naomi Osaka was always going to prove a tough task - and so it proved. 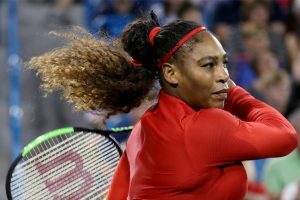 Reports show Williams was given approval for a TUE for the corticosteroid anti-inflammatory prednisone to help to alleviate the symptoms.